Bourjois is a brand I've never really delved into to be honest. Not that there products don't seem appealing to me or anything just never tried many products. I have always been more a Rimmel girl but what best way to tempt me into there range? Of-course there 3 for 2 offer in Boots! I have seen these Lip crayons all over the blogosphere and was umming and arring about getting them as I already have some Revlon ones and MUA ones, 'dupes' to the Clinique ones so to speak not that I would know as my pennies don't stretch that far for a lip crayon. But I thought 3 for 2 why the heck not which also got me to try there chocolate bronzer that I've been eyeing up for ages but will blog about that another day. 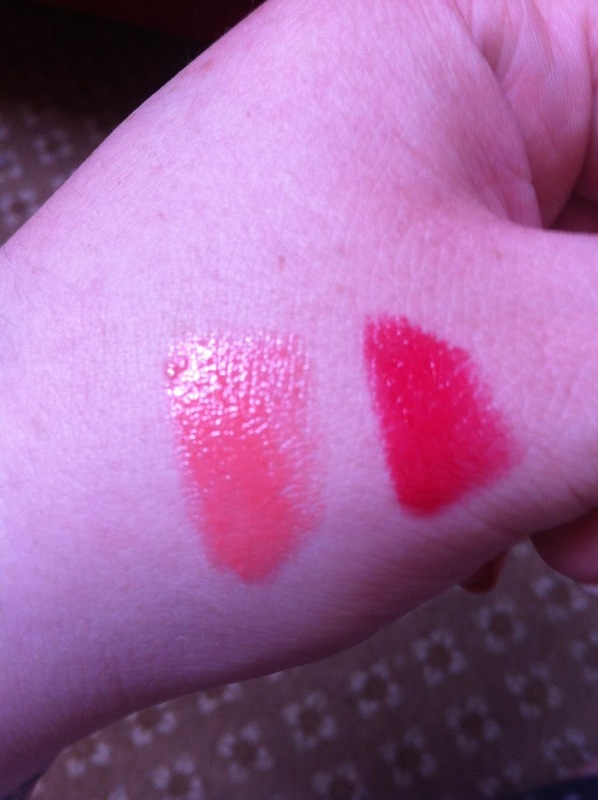 Bourjois Colour Boost Lip Crayons - So here I have two lip crayons, there both super glossy and shiny amongst application and I'd say the shine itself lasts a good couple of hours and leaves the colour behind which is fine with me. I think the 10 hour claim is the moisture on your lips. It left my lips feeling so lovely and soft. 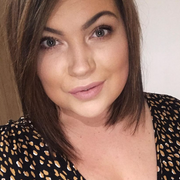 It is a silky like texture on your lips and if your used to the crayon lipstick I think there fab for just gliding over your lips, you could do it blind folded (if you was brave). These smell so gorgeous to a little hint of fruit I smelt they smell good enough to eat! If you have tried the Revlon ones there quite a strong minty scent although I don't mind that I know not a lot of people do but these are very subtle smelling with a hint of fruitiness and there beautiful! It also says it has SPF 15 in I have seen a review of these though from someone in Canada and that bit is covered up on there lip crayon which I think is very strange, so how true that is I really don't know, dodgy. 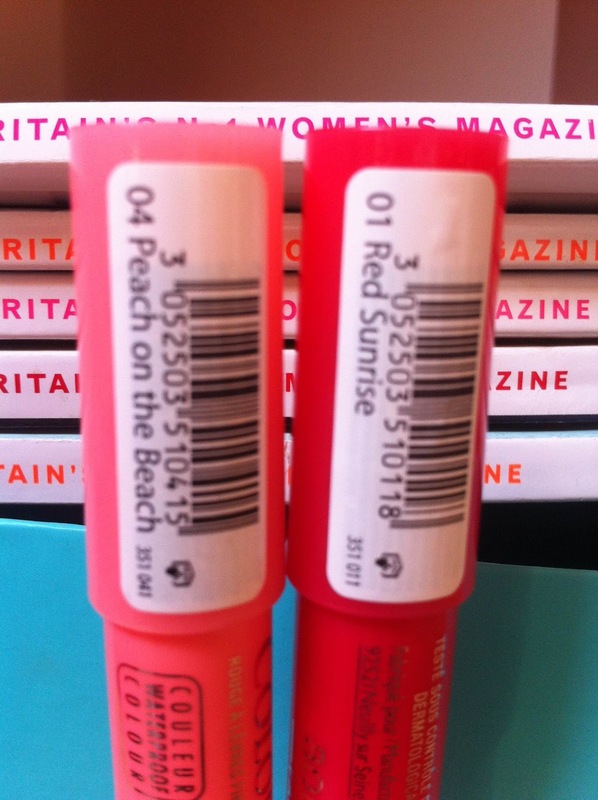 Peach On The Beach - The name itself is so pretty, as well as the bright coral pale pinky colour. A lovely colour, will look fab on the beach in your bikini with a mojito in the other hand or a peach? I love it. Red Sunrise - A very pinky red but still red, if you know me I'm not a massive fan of reds I just really don't think they suit me but I swatched this in the shop and thought I'll give it a try as I did think it had a tinge of pink to it to tone the redness down. Another gorgeous colour and as you can see in the swatches below they shine! They look gorgeous on the lips but I'm having a really bad break out in the chin area so didn't want to ruin them in a picture by my awful break outs. 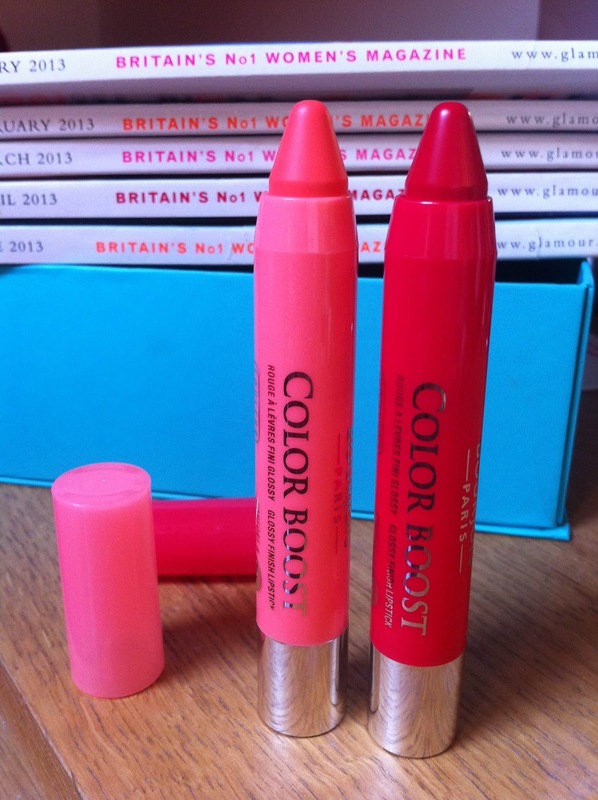 If you have tried the Lip crayons before from another brand I would defiantly recommend these to you. I think they beat the other brands as the moisture in them in phenomenal and the colors are beautiful although they only have four different shades at the moment they may expand? I just love the subtle scents to them too so if your not a massive fan of scents to products I think you would get on with these great. They retail at £7.99 in Boots if you fancy trying them out why not also make the most of there 3 for 2 offer? If your new to there brand its a great way to test them out. 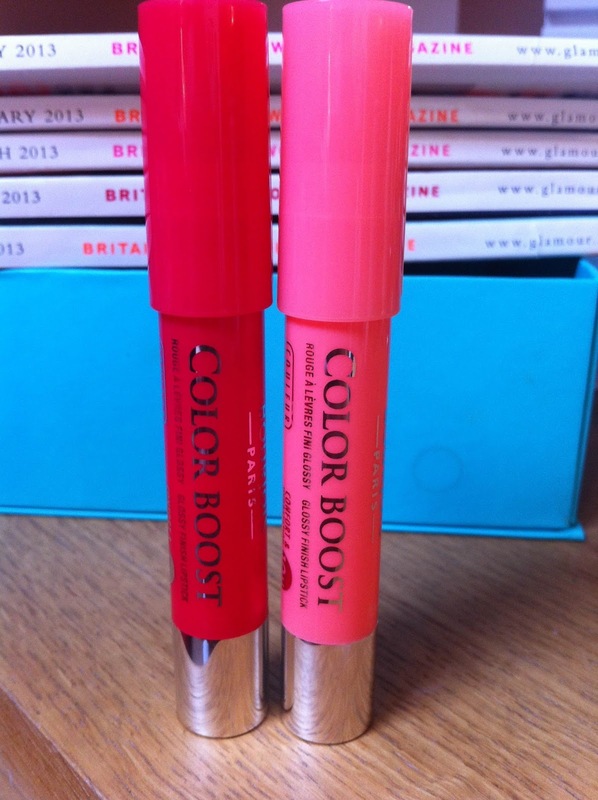 Have you got these or prefer the Lip Crayons in another brand? Do you think there's much difference in other brands? I'd love to know lovelies. I may have to purchase the red crayon, looks so nice! Got a bit of money saved up now so may have to have a splash out!